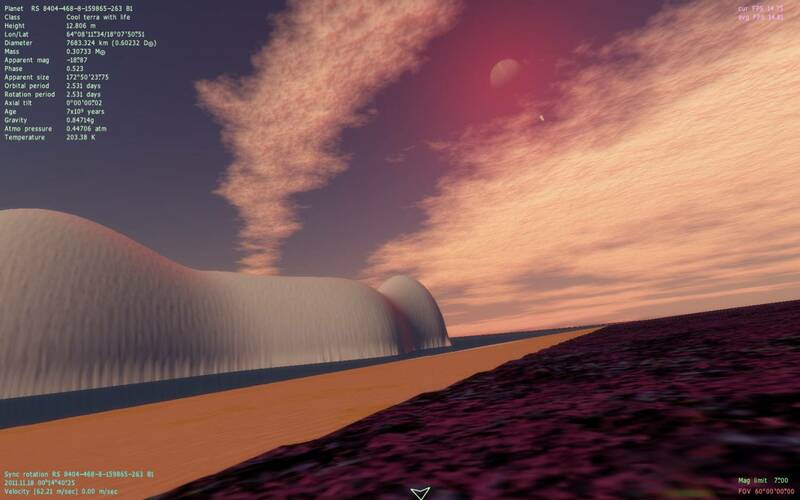 Post the first Terra with life you've found in the new version. Just astonishing! Looks like a great place to live. 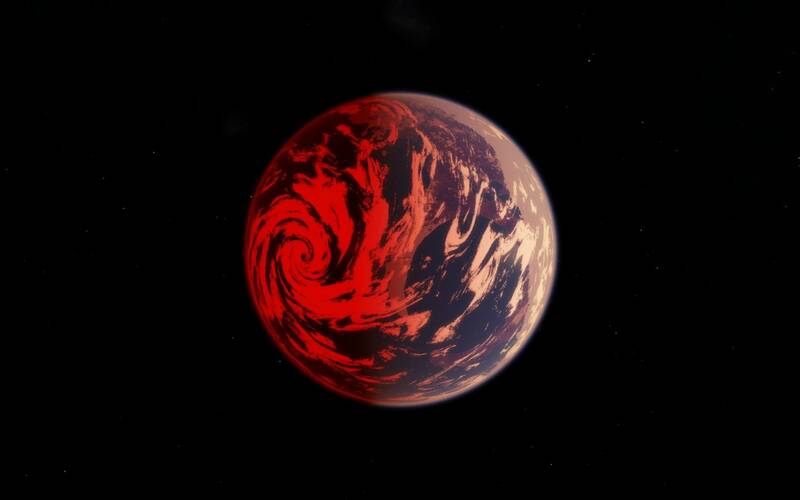 Is orbiting a brown dwarf and has a huge cyclone. Here is my favoret so far. It orbits a brown dwarf in less than 3 days and the brown dwarf in turn orbits a K star. The planet/moon is also pretty old a 7 billion years. Wow, that one looks amazing. I love the first pic. I completely randomly stumbled upon two inhabited planets in the same (dual sun) system. I wasn't looking for anything really, just flying around hoping not to crash. This one's cool, with a dense atmosphere, red rocks and rather standard green plant life. This one's a bit colder - and with an even more dense and unfriendly atmosphere. However, the kind of lifeforms here are rather interesting... they're all purple, so this stuff might not be carbon-oxygen after all. Those places look like complete opposites of each other... I smell a sci-fi conflict brewing here once they evolve some sentience.